Brett Kavanaugh, Amy Coney Barrett, Raymond Kethledge: Supreme Court Shorlist Trump said he will make the announcement Monday night at 9 p.m. at the White House. He is deciding between Judges Brett Kavanaugh, Amy Coney Barrett and Raymond Kethledge. President Trump boards Air Force One, Thursday, en route to Montana. Trump could decide (decide not announce) sooner rather than later, as early as Friday, though the official announcement is still slated for Monday. Judge Thomas Hardiman, the runner-up to Justice Neil Gorsuch, is still in the mix, though seen as fourth on the list. 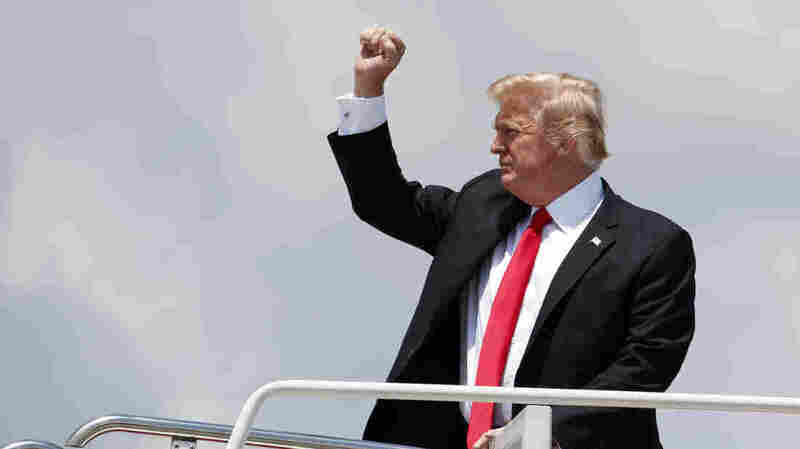 Speaking on Air Force One Thursday, the president said he will make the announcement of his choice Monday at 9 p.m. at the White House. "I think I have it down to four people and I think of the four people, I have it down to three or two," Trump told members of the White House press corps traveling with him to Montana. "I think they're all outstanding. Honestly I could pick any of the 25 and they would be terrific. Those are very terrific people. The whole list is extraordinary." Asked to name the four candidates on his shortlist, Trump refused but reaffirmed that "I have it down to four." "I'll have a decision made in my mind by Sunday," the president also said. "We'll announce it on Monday. I'll give you the answer." Whoever is picked is likely to be more conservative than the man being replaced, Justice Anthony Kennedy. Kennedy was often a swing vote on the court, sometimes siding with the court's conservatives and, at others, with the court's liberals. This year, for the first time in his career, though, he voted exclusively with the court's conservatives in all the 5-to-4 cases that split along clearly liberal-conservative lines. Kavanaugh, 53, is a former Kennedy clerk and a judge on the U.S. Court of Appeals, D.C. Circuit, which is commonly referred to as the second-most powerful court in the country. He was appointed in 2006 by George W. Bush. He's a connected Washington insider with roots in politics in the George W. Bush White House. He's written some 300 opinions for the D.C. Circuit in 12 years — and he's only 53, which means he will likely serve on the high court, if confirmed, for a very long time. Some conservatives, though, question his bona fides, and he's controversial with Democrats because of his role investigating former President Bill Clinton as part of the Starr investigation. Some conservatives have been lobbying against him, worrying that his upbringing in the suburbs of Washington could mean he's the kind of justice who has disappointed conservatives before. These conservatives, including Texas Sen. Ted Cruz, believe he is not sufficiently conservative and disagree with portions of opinions he's written relating to abortion and Obamacare. Barrett, 46, clerked for the late Justice Antonin Scalia. She's only been a federal judge for about a year. Before that, she was a law professor at the University of Notre Dame. She was appointed in 2017 by President Trump. During her confirmation hearing for the 7th Circuit, Sen. Dianne Feinstein, D-Calif., questioned Barrett about whether her Catholic faith might color her work on the bench. "The dogma lives loudly within you, and that's of concern," Feinstein said of Barrett. The senator's questions drew a rebuke from Catholic leaders. She was confirmed 55 to 43 by the Senate, and three Democrats voted for her — Joe Manchin of West Virginia, Tim Kaine of Virginia and Joe Donnelly of Indiana. "Our legal culture does not, and never has, treated the reversal of precedent as out-of-bounds. Instead, it treats departing from precedent as a permissible move, albeit one that should be made only for good reason." Kethledge has some political experience having worked on Capitol Hill as an aide to former Sen. Spencer Abraham of Michigan. He also co-authored a book on leadership and solitude, Lead Yourself First. He argues that being alone with one's thoughts, away from the distractions of smart phones and urgent texts, contributes to analytical clarity. He likes to work in a converted barn office overlooking Lake Huron, with a wood stove and no Internet, when he writes opinions. "I get an extra 20 IQ points from being in that office," Kethledge told the website Above the Law. Kethledge has undoubtedly been a conservative jurist. He ruled in favor of police's ability to gather cellphone tower location information (the Supreme Court and Chief Justice John Roberts ruled the other way); upheld a Michigan law that barred public schools from collecting union dues from their teachers, and required unions to do the collecting themselves; upheld a mandatory minimum sentence for a man who pleaded guilty to drug charges, even though Congress had reduced the mandatory minimum between the man's guilty plea and sentencing; and struck down a complaint brought by the Equal Employment Opportunity Commission that said Kaplan's use of credit checks on job applicants had a discriminatory effect on African Americans.